The Corral Hollow Canyon and Tesla hold a significant place in our region’s and State’s history. 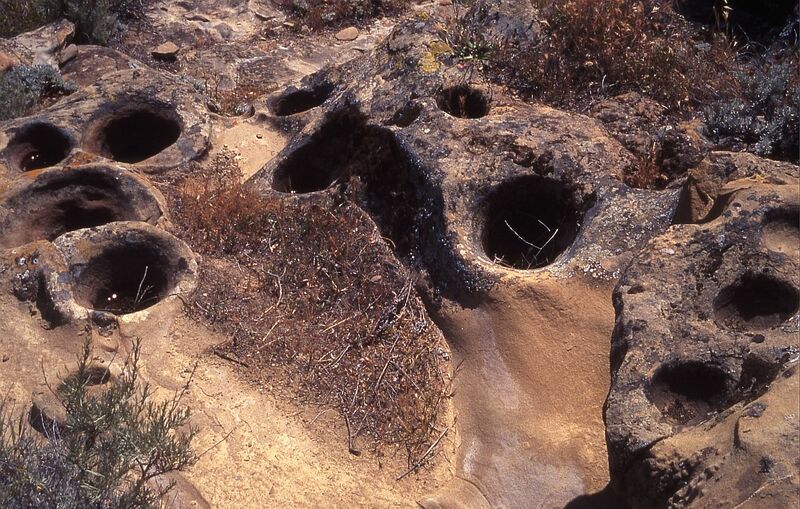 The canyon and ridge tops were seasonal hunting, gathering and trading grounds for Native American Yokuts from the floor of the Central Valley and the Ohlone/Costanoan peoples from the East Bay. Tesla Park includes several unique grinding rocks and rare pre-historic rock carvings. 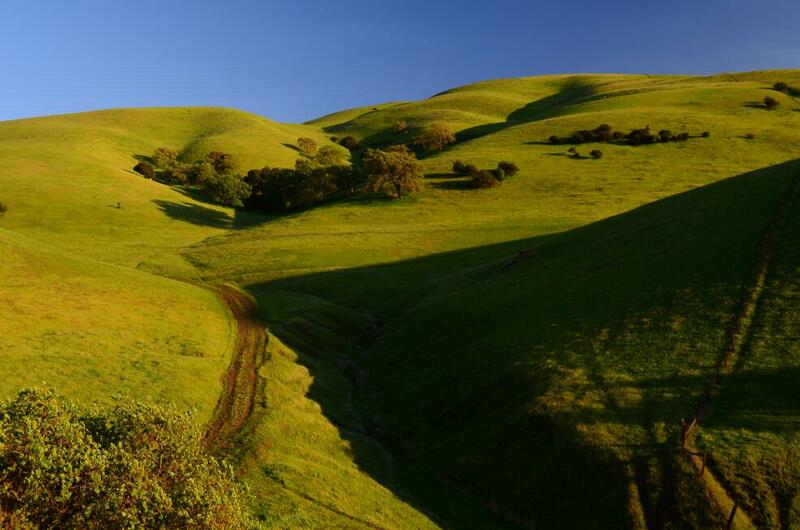 One overlooks Mount Diablo and the Central Valley is thought to be a ceremonial site 4,000 or more years old. From the mid-1770s, the canyon pass, then called El Camino Viejo, from the Livermore Valley to the San Joaquin Valley was the route used by the Spanish to travel from the East Bay to the Central Valley and then down the western edge of the valley to the Tehachapi’s and Southern California. During the Mexican period and Gold Rush it was a key route from the Bay Area to the Central Valley and then to the southern gold fields in Tuolumne and Mariposa counties. Grizzly Adams lived and hunted in the Mitchell Ravine in Tesla Park in the 1800s.Other historic locations are present in Tesla Park and its environs as documented in Carrel of Corral Hollow, Up and Down California in the 1860-1864 and History of Tesla – A California Coal Mining Town. In the mid-1800s, the first commercial coal mines in the State were opened at Tesla. 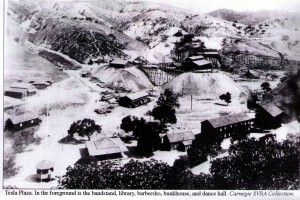 In the 1890s a large scale commercial mining operation was built and the company town of Tesla flourished for two decades. Clay and sand were also extracted at Tesla mines. 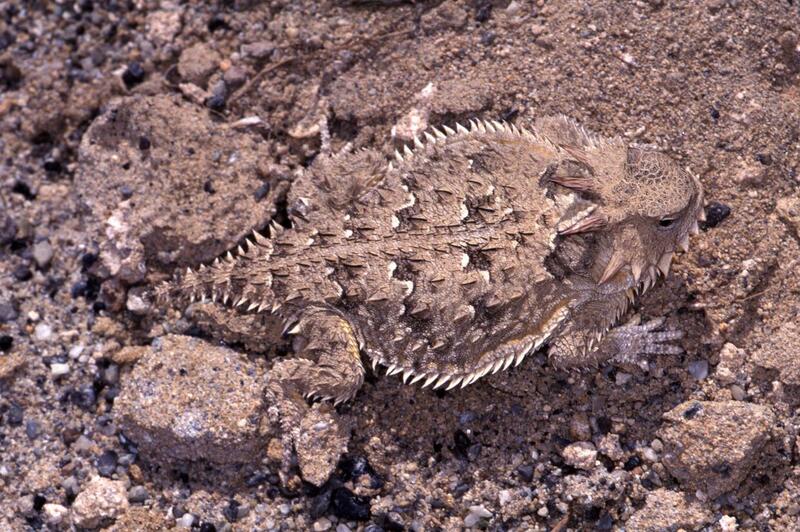 The clay was used at brick and pottery plants located in the nearby sister town of Carnegie, five miles east down the canyon. The sand was shipped to a glass plant in Stockton. A short line railroad, the Alameda & San Joaquin Railroad, was built to ship the coal, brick products and sand to Stockton and other ports along the San Joaquin River, and then to markets in the Bay Area and Southern California. Carnegie bricks were used in buildings throughout the region, including in San Francisco and many East Bay cities. Tesla and Carnegie, including stores, schools, hotels, and churches, grew to about 2,000 people by the early 1900s. When the mines closed down around 1911, the mines were boarded, brick kilns blown-up, and the towns abandoned for salvage. 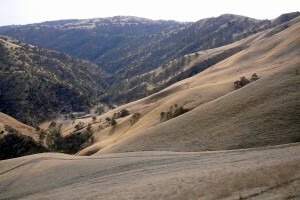 The Corral Hollow Canyon also has deep agricultural roots. First used for winter sheep pasture from the late 1860s, in the early 1900s, ranchers started to move to cattle. The Tesla park land has been continuously grazed by cattle for over 100 years, until Carnegie SVRA recently terminated leases. 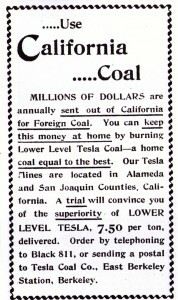 Tesla had a direct connection to Livermore as its primary source of commerce and society. The old stage coach road from Livermore is still visible in the park land today. 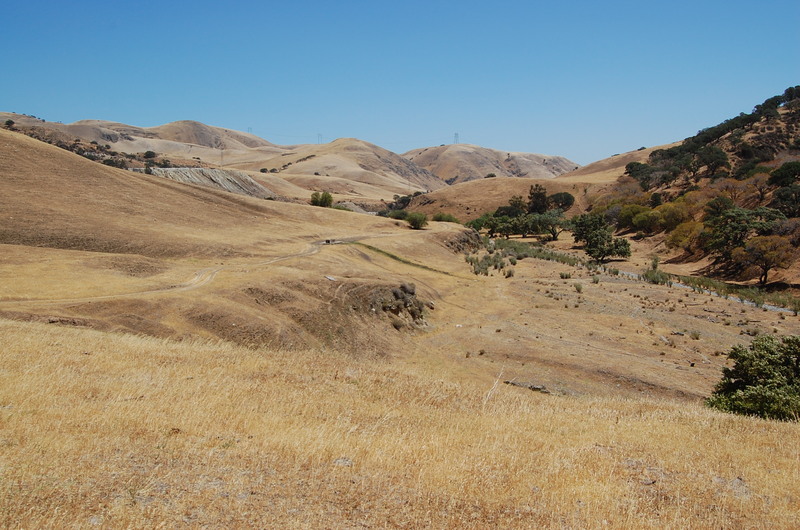 On the Livermore side of Corral Hollow/Tesla Road, a portion of the de Anza Trail recognizing the 1776 expedition is already designated as a National Historic Trail. State Historic Landmarks have been designated for Carnegie and the Zink House. Unfortunately, one marker along the roadway has been destroyed, and much of what remained of the historic Carnegie town site pulverized by OHV use, buried from public view or a small footprint fenced with no identification.